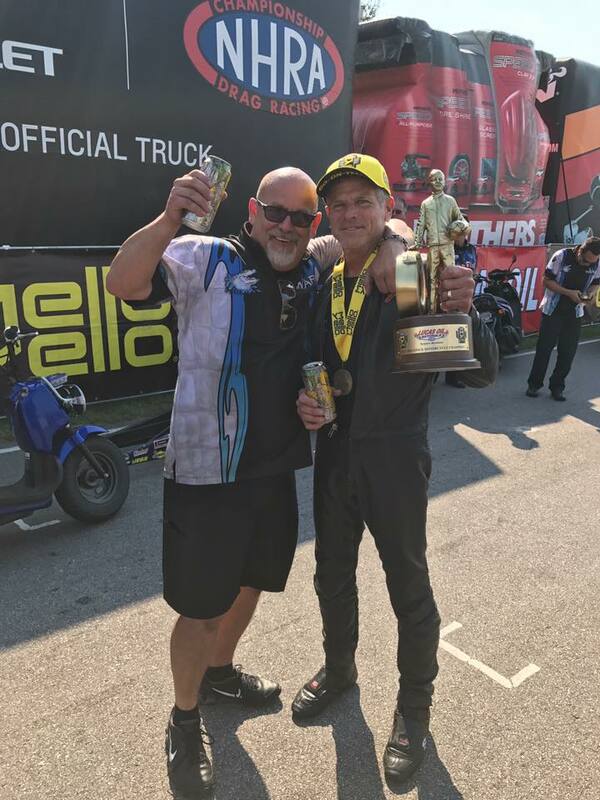 Jerry Savoie, the Pro Stock Motorcycle reigning world champion, defeated teammate and points leader LE Tonglet in the finals at the Lucas Oil NHRA Nationals at Brainered International Raceway. 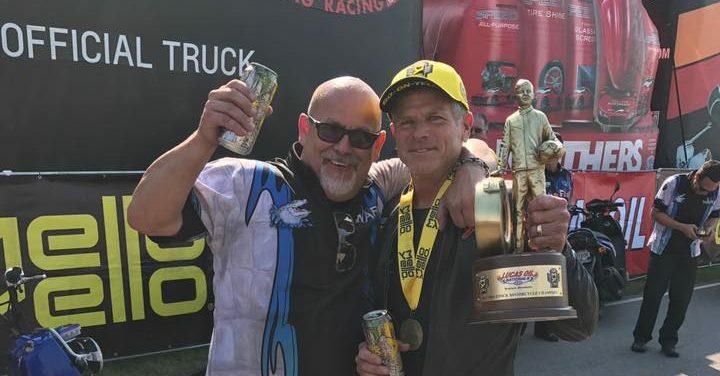 Savoie, the Pro Stock Motorcycle reigning world champion, defeated teammate and points leader LE Tonglet in the finals for his second win of the season and eighth of his career. Savoie’s 6.846 pass at 194.80 on his White Alligator Racing Suzuki bettered Tonglet’s 6.910 at 194.02 on his Nitro Fish Racing Suzuki. Jerry Savoy celebrates another Wally! Savoie faced Mike Berry, Angie Smith and Matt Smith before lining up against Tonglet in his third finals appearance of the season. Tonglet, who has five victories this season, raced past 2016 Rookie of the Year Cory Reed and five-time world champ Andrew Hines before facing his teammate. 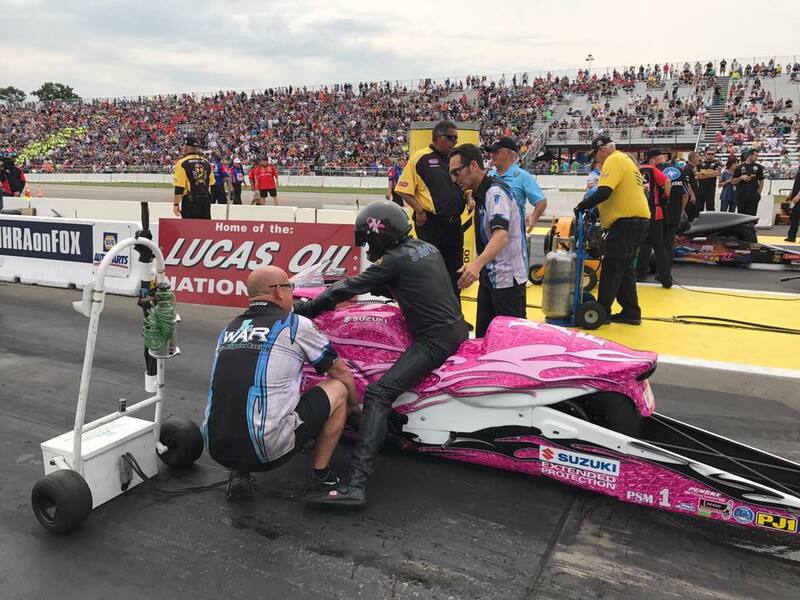 Racing in the NHRA Mello Yello Drag Racing Series season continues at Lucas Oil Raceway at Indianapolis for the 63rd annual Chevrolet Performance U.S. Nationals, the world’s biggest drag race, Aug. 30-Sept. 4. FINAL — Savoie, 6.846, 194.80 def. Tonglet, 6.910, 194.02. 1. LE Tonglet, 874; 2. Eddie Krawiec, 690; 3. Jerry Savoie, 655; 4. Hector Arana Jr, 632; 5. Matt Smith, 581; 6. Andrew Hines, 529; 7. Scotty Pollacheck, 528; 8. Joey Gladstone, 427; 9. Karen Stoffer, 408; 10. Angie Smith, 394.